Why couldn't Michael Jordan, master athlete that he was, hit a baseball? Why can't modern robotics come close to replicating the dexterity of a five-year-old? Why do good quarterbacks always seem to know where their receivers are? Whether it is timing a 95-mph fastball or reaching for a coffee mug, movement requires extraordinary computation that many take for granted--until now. 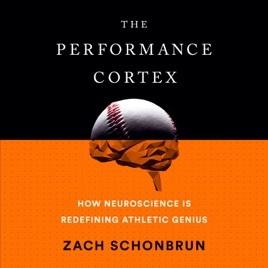 The Performance Cortex ushers in a new way of thinking about the athletic gifts we strain to see in our cavernous arenas. It's not about the million-dollar arm anymore. It's about the million-dollar brain.